A practical resource manual and 'how to help' book for parents of, or professionals working with, young children with motor coordination developmental delays. It covers a range of topics, including recognizing normal and abnormal motor development, when and how to seek help, an overview of approaches used to help the clumsy child, and specific teaching strategies appropriate for both parents and professional caregivers. Rather than focusing upon one specific frame of reference, offers a diverse range of ways to manage motor coordination and development problems, and also discusses the controversial nature of therapy for these children. Multiple tables and lists serve as quick reference guides and the three appendices include extensive further reading and an invaluable contacts list, making this an essential resource for anyone caring for or working with children with developmental motor concerns. Learn how to quickly and easily identify students with disabilities in your classroom! If you're a general education teacher with little or no experience in special education, identifying children and adolescents with potential disabilities may seem an impossible task. Until now! Drawing from her experience as an educational psychologist, and general education and special education teacher, Glynis Hannell offers guidelines to help you quickly recognize and categorize the specific characteristics of autism spectrum disorders, emotional-behavioral disorders, cognitive disabilities, speech or language impairment, health-related disabilities, and more. Using the practical checklists and resources in this guide, teachers can quickly and accurately gather key information to determine whether or not individual students need specialized assessment, attention, and services while complying with the law. Organized according to IDEA and internationally accepted criteria, this must-have resource for every classroom shows educators how to Quickly record important information and avoid writing time-consuming reports Incorporate the day-to-day observations of parents and/or therapists Track significant changes over time Recognize the symptoms and underlying causes of specific disorders Know when and how to refer a student for further assessment Request and prepare for an intervention or IEP team meeting Address the learning and environmental needs of students with specific disorders/disabilities in the inclusive or general education classroom setting. Discover the telltale signs of specific disabilities and equip yourself with the tools you need to ensure that all of your students receive theservices they need to succeed! Gives educators all the latest wisdom on including students with both sensory impairments and cognitive and physical disabilities. Packed with practical information and ideas, the updated edition features a new chapter on assessment, strategies like block scheduling and service learning, separate chapters on middle and high school, and coverage of today's hot topics, including literacy in all its forms. Educators will learn about compatible teaching methods for students with and without disabilities, the roles of peers and adults in the inclusion process, and how to adapt curricula and instructional techniques for students having significant challenges. Presents straightforward information on how teachers can develop modifications and accommodations to schoolwork so students with disabilities can participate in the inclusive classroom. The book is centered around three types of adaptations -- curricular, instructional, and environmental -- and two stages of planning adaptations for students with a broad range of learning and developmental disabilities. Features such as Student Snapshots, Voices from the Classroom, and What the Research Says make this book easy to read for the busy educator. Do you know a child who is bright, charming and articulate, but has no friends? A child who showed early signs of intelligence, but is now floundering, academically and emotionally? Children with Nonverbal Learning Disabilities (NLD) are an enigma. They're children with extraordinary gifts and heartbreaking challenges that go far beyond the classroom. Nonverbal Learning Disabilities at Home explores the variety of daily life problems children with NLD may face. The author, herself the parent of a child with NLD, provides solutions to the everyday challenges of the disorder, from early warning signs and self-care issues to social skills and personal safety, from preschool age through their challenging adolescent years. Now revised and updated, this "parents' bible to sensory processing disorder " ("New York Times") features additional information from recent research on vision and hearing deficits, motor skills problems, ADHA, autism, and other related disorders. This companion volume to "The Out of Sync Child" presents activities parents of kids with Sensory Integration Dysfunction can do at home with their child to strengthen the child's abilities--and have some fun along the way. Positive, mutually supportive relationships among students with and without disabilities are a critical part of inclusive schooling, they improve students social skills and help boost academic achievement. This book helps educators foster meaningful friendships and helping relationships among their students. It is enhanced throughout with the most recent legislative changes, thoroughly updated references, new peer support guidelines for middle and high school, and ready-to-use strategies on everything from teaching social skills to making peer instruction work. 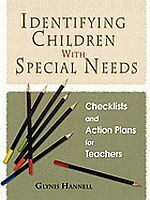 Complete with blank forms on implementing cooperative learning and assessing students' behavior and relationships, this highly readable guide gives educators proven and practical ideas for improving social connections among students with and without disabilities. Using Games and Activities to Help Your Child with Special Needs. Parents and carers of children with conditions such as autism, Down's Syndrome or other forms of developmental delay can do much to help encourage their child's development. This book provides paractical advice and fun games and activities to improve a childs's skills in the six areas of development: cognitive, physical, sensory, language, social and emotional. The book also outlines the stages of child development so parents can place their child's progress in context. Particularly suitable for primary school children, exploring the standard stages of development from 3-11 years. 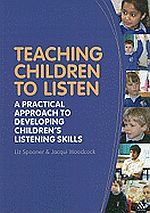 Complete, practical guide to improving the listening skills of children of a range of abilities aged 3-11. Designed to help adults explain dyslexia to children, this book provides information about all the most common types of dyslexia: trouble with sounds, trouble remembering how letters and words look, trouble finding words, and mixed dyslexia. Deals with the basic facts and adopts a style which is accessible to children without talking down to them. The book includes clear examples which children will be able to understand, as well as activities for parents to do with their children. The author emphasises that everyone has strengths and weaknesses and that having dyslexia is okay. This book will be valuable for parents of children with dyslexia, as well as other adults working with children with dyslexia.